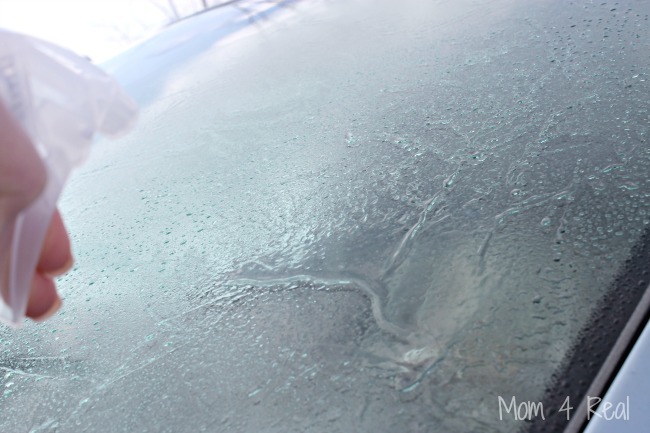 This 2 Ingredient Homemade Car De-Icer Spray removes ice from your car windshield in seconds and will melt snow and ice from your car locks too! 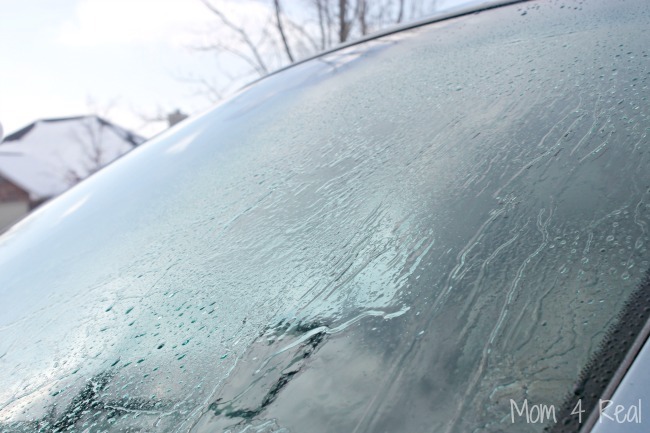 When temperatures dip down below freezing, icy windshields and locks can become a real problem. Sometimes you may be in a hurry and need a quick solution for getting your windshield clean quickly without having to scrape the ice away. 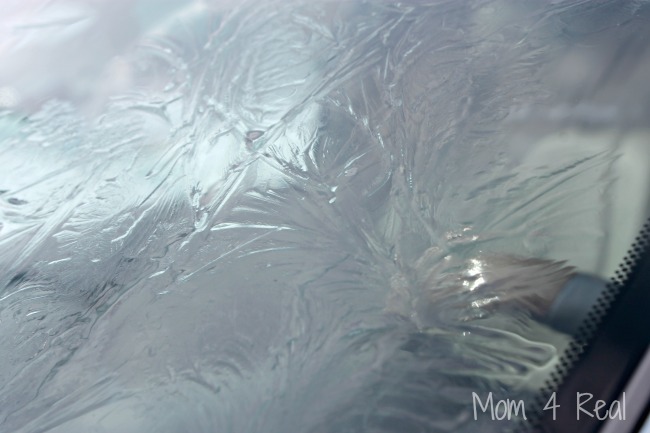 Locks can also freeze and be a real pain to thaw quickly. 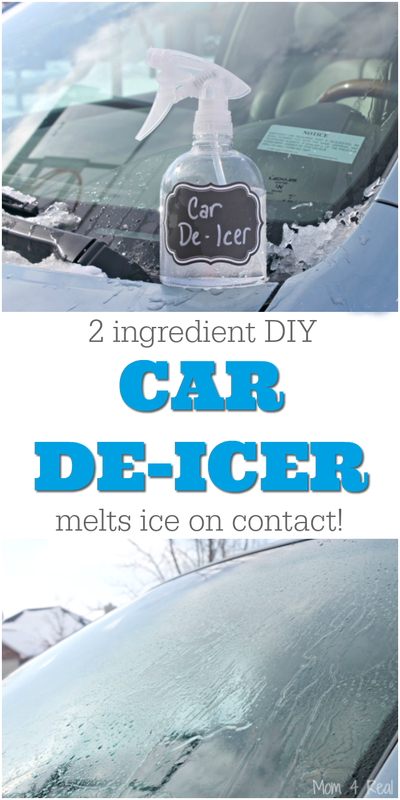 I’ve been making this 2 Ingredient DIY Car De-Icer for years now and keep a bottle in each of our cars during the winter months. It melts ice on contact and works within seconds of spraying it. It also thaws frozen locks in seconds! What do you need to make car de-icer? 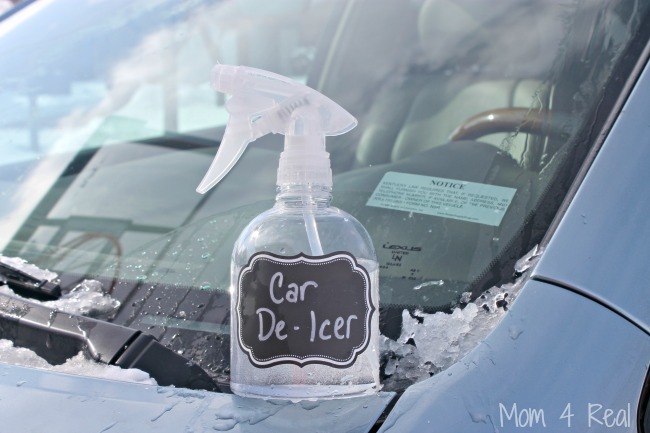 How do you make car de-icer? 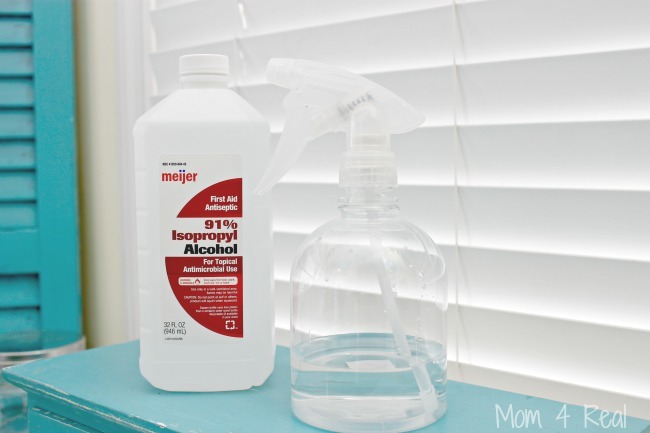 Add 1 cup of water to a clean spray bottle. Add 1 cup of isopropyl alcohol. Head out to your ice covered car. Spray liberally with your de-icing mixture. Watch for a second as the ice starts to instantly melt away. Turn your windshield wipers on so they cycle back and forth a few times. Get in your car and get on with your day…ice free of course! 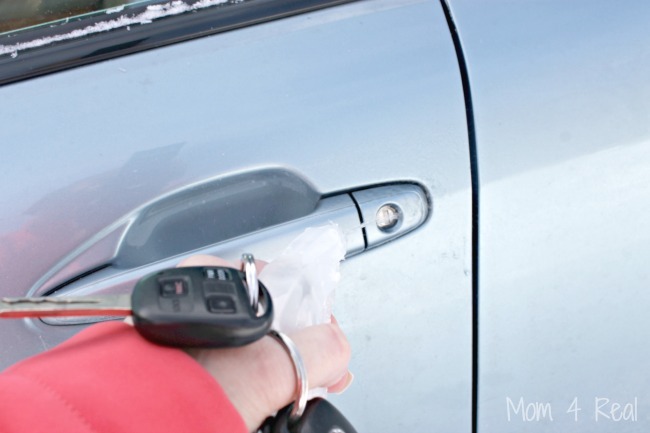 If your locks are frozen, go ahead and spray them too before inserting your key! You can even spray this mixture along the door to get it open! I have now made a spray bottle for each family member to take with them when they are out on the road. It won’t freeze in your car, and can be used if you find yourself in an emergency situation. My son loves it because when he comes out of school after a long day, he doesn’t have to stand outside and scrape his windshield off any more! This is too easy, right? Hope it helps you! Looking for more home tips and cleaning hacks? 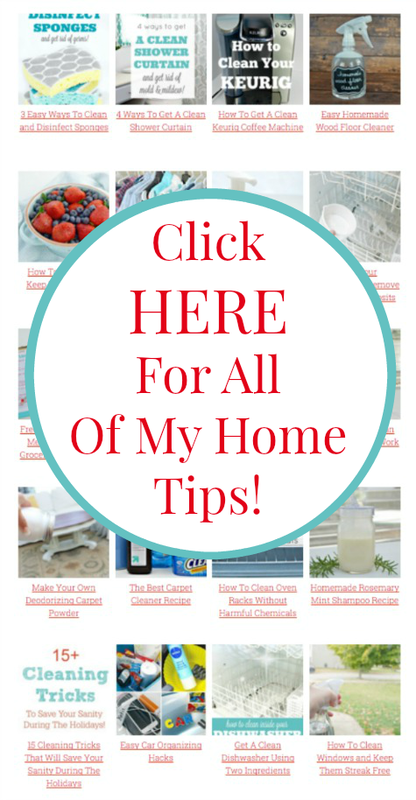 Find them all HERE on my Home Tips Page!